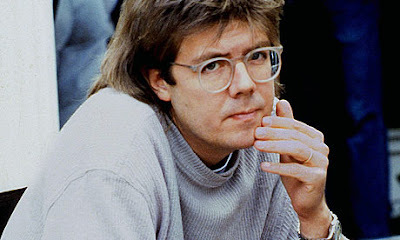 John Hughes, one of my favourite film directors and a film making icon to angst ridden teens the world over, died last Thursday the 6th of August of a heart attack. He was 59. Hughes’s films were equally impressionable and hugely entertaining to me as a pre-teen in the 80’s and a teen in the early 90’s. Films such as The Breakfast Club, Weird Science and Ferris Bueller’s Day Off were integral in forming my initial love for movies. He taped into the mind of a teenager like no director before or after as a writer/director, melding hilarious moments and powerful drama to truly memorable effect. His later films, Planes Trains and Automobiles and Uncle Buck saw him moving into more family oriented comedy drama, proving his ability as a writer - something that was definitely his greatest gift, was unique and without peer. To this day, the blueprint of the man’s films still casts a heavy influence on all others who work within the genre of the "dramedy". Even though he gave up directing in the early 90’s - though continuing to write, sometimes under pseudonyms, his death was still a shock to this fan and he will be sorely missed. His legacy of films remains a sign of an era, but also a body of work that remains timeless.